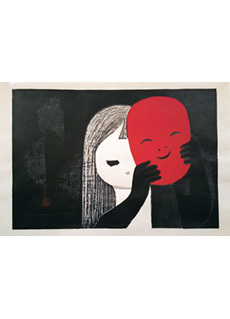 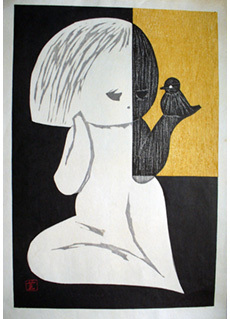 Three Eyes by Kaoru Kawano. 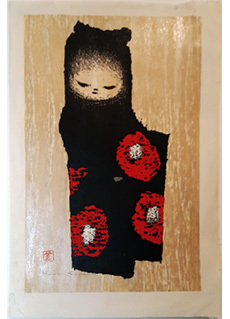 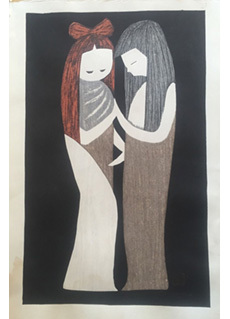 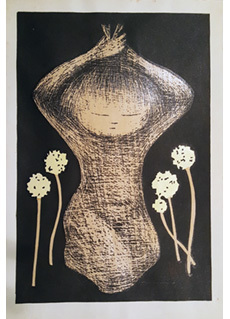 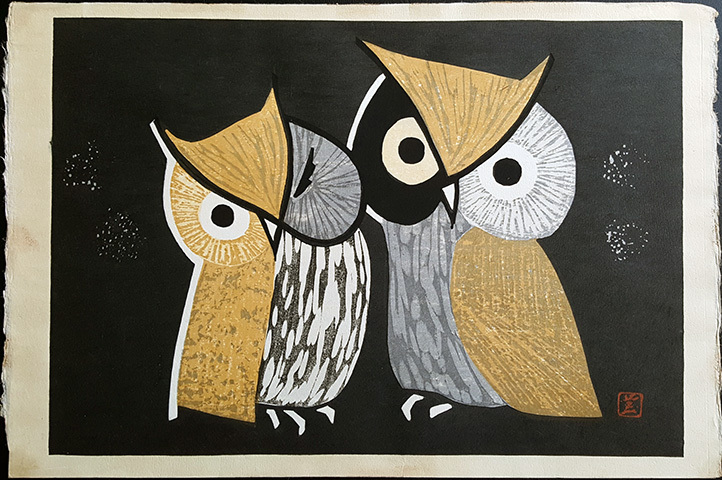 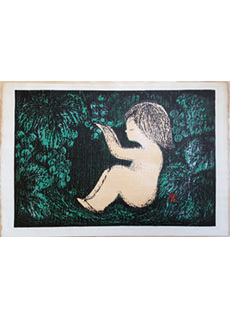 Vintage mid century Japanese woodblock. 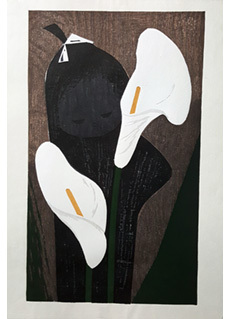 Dates to approximately 1960s. 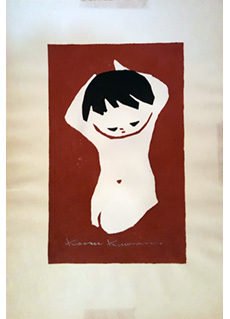 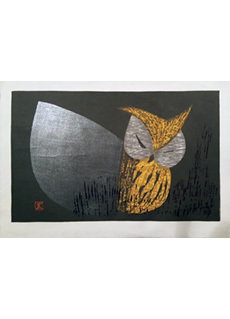 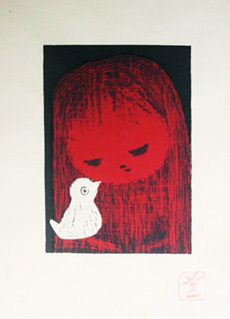 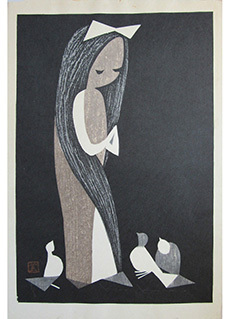 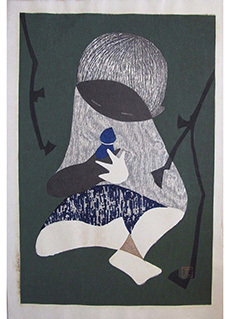 Size: 16 ½" x 11 3/8"
Kaoru Kawano was born in 1916 in Hokkaido. 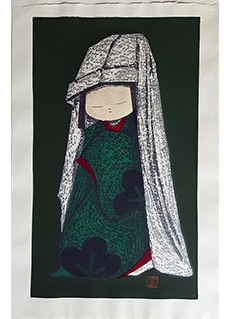 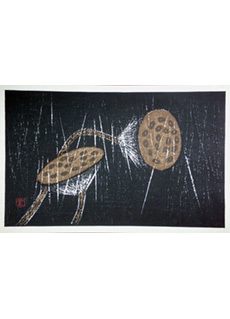 In 1934 he studied art at the Kawabata Art School and was accepted by the Japan Print Society. 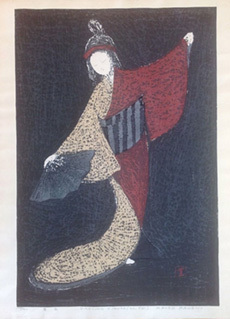 World War II interrupted his work, and he ended up as a prisoner in Serbia. 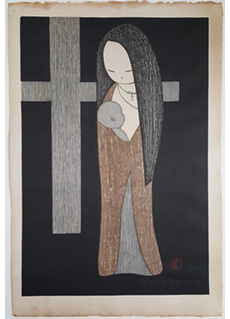 He survived and continued his work as an artist after the war was over. 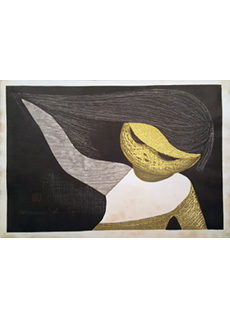 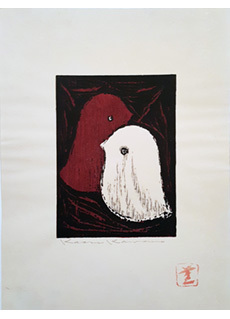 In 1954 he was awarded the Koguga prize and his work began to be recognized around the world, including exhibits in New York, Chicago , Seattle and Yugoslavia.